Leyla Erbil was born as the second of three children to a middle-class family in Istanbul on the Jan. 12, 1931. She attended elementary school and middle school near her home and later went on to attend Kadıköy Girls High School. The seeds for her future success were planted when she was in high school, as she had several of her poems published in a Turkish journal. After graduation, Erbil went on to study at Istanbul University's Department of English Philology in the Faculty of Literature. Here, she would go on to build the foundation for her outstanding works in the field of literature. Leyla Erbil married her first husband, Aytek Şay - the son of Circassian Reşit - in 1951 after her first year of university. The love affair between the two caused Erbil to take a break from her education; however, the marriage did not last long and Erbil returned to university shortly after they divorced. She met her second husband, Mehmet Erbil, while working as a secretary at Scandinavian Airlines in 1953, and took yet another break from her education during her last year. They wed after a few short months, and she did not resume her education afterwards. In 1960, she gave birth to her only daughter, Fatoş Erbil-Pınar. Erbil published her first story in 1956 with the help of her close friend Metin Eloğlu. He loved the story so much that he suggested the title "Uğraşsız" (Without Struggle), and submitted it for publication in a magazine called "Seçilmiş Hikâyeler" (Chosen Stories). Her first publication followed with a flood of other magazines that also wanted to publish her works. In the following year, her stories and articles would go on to be published in many journals such as Ataç, Dost, Dönem, Kitap-lık, Papirüs, Türk Dili, Türkiye Defteri, Yeditepe, Yelken, Yeni Dergi, and Yeni Ufuklar. Shortly after, Erbil published her first short story collection called "Hallaç" (Carder) in 1960. Her second collection of short stories was published eight years later in 1968 and titled "Gecede" (At Night). Eloğlu once again liked the book so much that he submitted it to the Sait Faik Short Story Competition, which unfortunately Erbil did not end up winning. One of Erbil's most prominent works and her first novel "Tuhaf Bir Kadın" (A Strange Women) was published in 1971. It became the center of literary attention very quickly due to its unconventional look at marriage and the role of women in society. In 1977, Erbil published her third book "Eski Sevgili" (Ex Love). In the book, Dotard gives the first clues of her mother's illness, who was diagnosed with Alzheimer's Disease in 1980. After her mother's death in 1984, Erbil published her autobiographical novel "Karanlığın Günü" (The Day of Darkness), which is a detailed account of her mother's illness and her years in the hospital. "Zihin Kuşları" (Birds of the Mind), published in 1998 was one of Erbil's last books. In this book, she describes her different styles of writing and why she has chosen them the way she has. Detailed with interesting observations and different questioning methods, "Zihin Kuşları" is one of the books where Erbil gives us a peek into her thought process. Erbil became one of the few founding members of the Artists Union of Turkey in 1970 whose chairman at the time was Orhon Murat Arıburnu. Four years later, in 1974, she became a founder member of the Writers Syndicate of Turkey. As a founding member, she prepared the constitution for the syndicate with her friends Asım Bezirci under the guidance of Aziz Nesin. At this time, she was also a member of the PEN Writers Association. In 1999, Erbil became a deputy candidate for the Freedom and Solidarity Party (ÖDP). As a candidate, she made a public appearance stating that she knew she would not win the election, and if she was elected, she would quit anyway. After some disagreements with its ideals, Erbil left the party. Leyla Erbil is considered among the most prominent and "revolutionary" writers of the 1950s. She understood and incorporated the modern individuals' dilemma in society into her writing, which was untraditional for Turkish writers and the time. She wrote about topics that were considered taboo and unconventional for the Turkish public during the era. In her novels, she addressed issues such as women and gender, sexuality, psychoanalysis and the subconscious. She was also not afraid to criticize or be criticized. Her most criticized novel, "Tuhaf Bir Kadın," broke the rules for traditional novels in content and form by boldly criticizing the traditional social values of Turkish culture. Erbil uses dark humor to bring together otherwise opposing ideas and conditions such as reformists and the police, superstition and science and sexuality and death. Her thoughts and writing were greatly influenced by Karl Marx and Sigmund Freud. The innovations in Erbil's writing were not only in content but also in technique. Erbil developed unique styles of writing and used different wordings of Turkish grammar, creating never-before-used styles. She let her imagination and creativity take over her work, and was not afraid to be unorthodox and avant-garde in her techniques. One of her most distinctive techniques was to occasionally call the reader out and ask them to question what they were reading. The main goal in doing this was to get her readers to be consumer conscious by becoming aware of what they were consuming and encourage more critical reading. In using such techniques, Erbil was constantly rebelling against grammatical constraints and broadening the capacity of the Turkish language. Moreover, she created new syntax to support her need for better explanations on subjects for which she thought that language was insufficient. 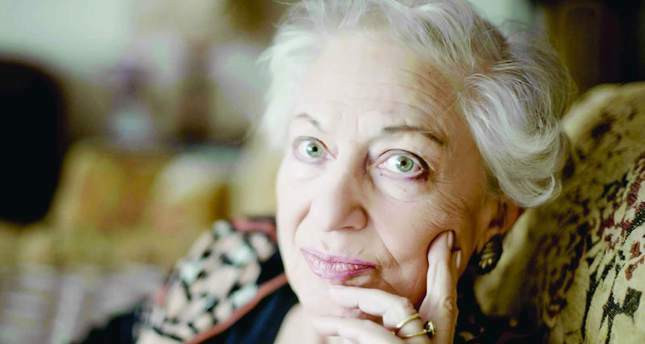 In 2002, Erbil was nominated as a candidate for the Nobel Prize in literature by the PEN Writers Association, making her the first Turkish woman to be nominated for the prize in that category. Erbil was diagnosed with Langerhans Cell Histiocytosis in 2005, and for eight years, she battled courageously with her illness. In 2013, however, she lost the battle. She died on July 19, 2013, at the age of 82 at Istanbul Hospital where she was being treated for liver failure and respiratory problems, which were side effects of her illness.